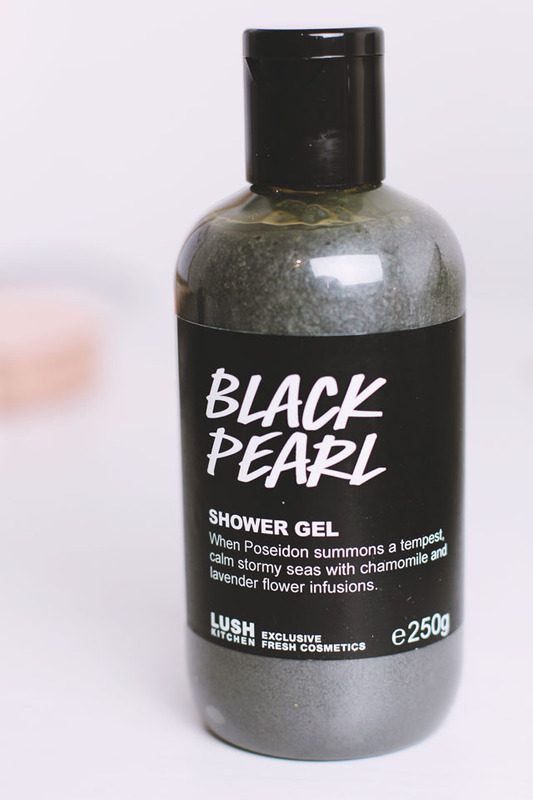 When I read the description of Lush's Black Pearl Shower Gel in the Kitchen, it sounded perfect for me. Lavender and chamomile? Yes please! Just what I need to chill out before bedtime! When I received Black Pearl, it was immediately clear how it got its name. Not only is it black in colour, but it has a pearlescent sheen to it. It's quite thick in consistency and has an almost gritty texture to it. The lavender scent is wonderful and creates a really relaxing mood. The chamomile note adds a sweeter hint and the inclusion of a range of oils including almond makes it a lovely moisturising gel. However, I have found that it doesn't lather as well as others I have tried and, when I use it as a bubble bath, it doesn't produce as many bubbles. Despite the dark colour, it doesn't stain the skin and neither does it turn the bath water black when used as a bubble bath. Although it may not feel as luxurious as other Lush shower gels, particularly their cream formulae, it's certainly a lovely, relaxing way to end the day. I'm looking forward to coupling it with my Sleepy body lotion for double the lavender bedtime goodness!